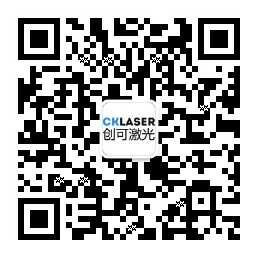 CKLaser is a professional laser marking system manufacturer in Chinese laser equipment industry. 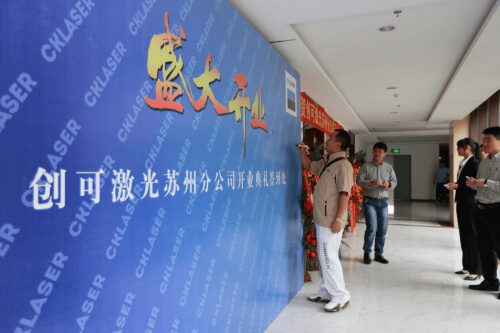 Driven by the prosperous development of “Industry 4.0” and “intelligent manufacturing in China”, CKLaser Suzhou Branch was formally founded in Room 307, Building B, Chenlei Science Park, No.1, Qunxing Road I, Tongyuan Road, Suzhou Industrial Park to meet the increasing business requirements. 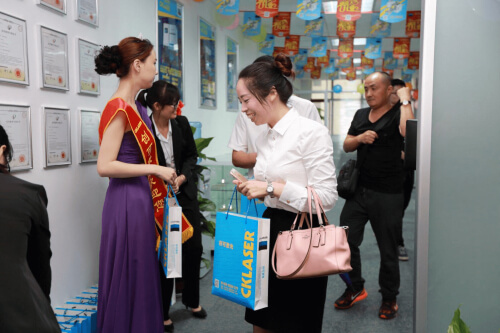 On May 28, shrouded in hazy mist, CKLaser Suzhou Branch observed its grand opening in a harmonious and joyous atmosphere. The laser industry insiders are invited to the opening ceremony. 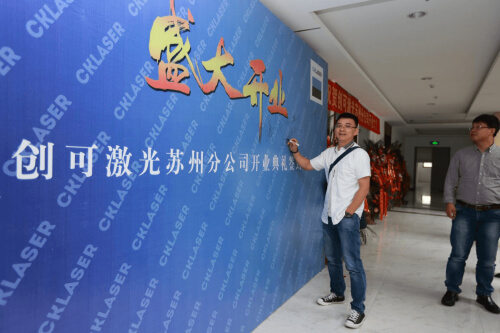 The top leaders of CKLaser take a photo with the peers beside the signature wall. Those present drink tea and talk glowingly about the prospect of CKLaser. 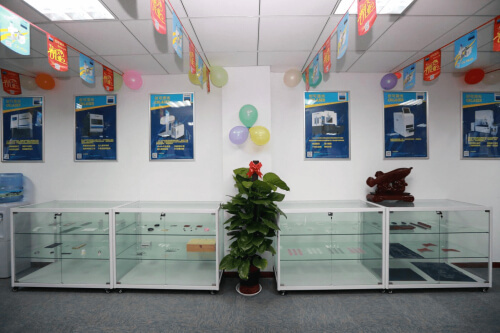 CKLaser is committed to the research and development, production and sale of high-end 3D fiber, CO 2 and UV laser marking machines with aim to meet the market demand for advanced marking equipment, customize products and solutions for customers, and spread the philosophy of CKLaser and the value of laser to all professions and trades. 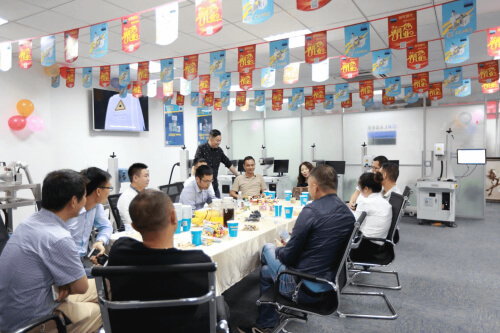 The Suzhou Branch is a division made up of CKLaser’s most elite sales and technology teams, and also a major pillar for market exploitation in East China. 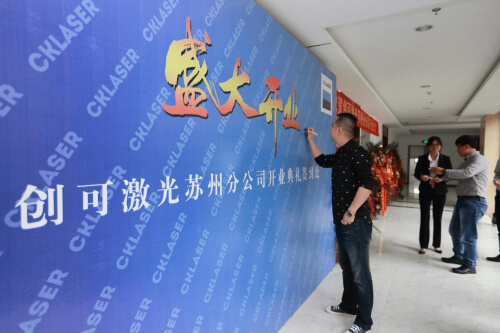 The establishment of CKLaser Suzhou Branch means that CKLaser will grow from a regional company into a national and even global company. 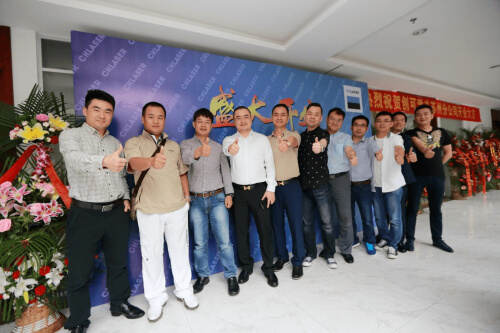 To this end, the company will exploit new markets and industries in an even better fashion, and provide customers with right, reliable and high-quality products and services more heartily.